If you are an entrepreneur you have probably heard the term batching. It is the popular productivity practice of carving out a chunk of time to complete a certain task like content creation. We all have a million things that we do in our businesses. Some have to be done in real time. Clients consultations, sales calls, networking events and some client work has to be done when it comes up. Other tasks can be done in advance and scheduled out and this is where you can utilize batching to be more productive. Once you have your list of batchable items, you need to decide how and when you will be doing this work and get it on the calendar. This means creating a schedule. There is no right way to do a batching schedule, it is totally customizable to your schedule and workflow. I personally think that planning for a quarter is the most a manageable. It is a long enough period of time without being overwhelming. When creating your schedule decide how many days a week, month or quarter you want to dedicate to batching. Once you have that in place take each day and determine what you will working on during your batching day. For example, you may decide that every first Monday and Tuesday of the month are content creation and the last Friday of the month is for social media scheduling. 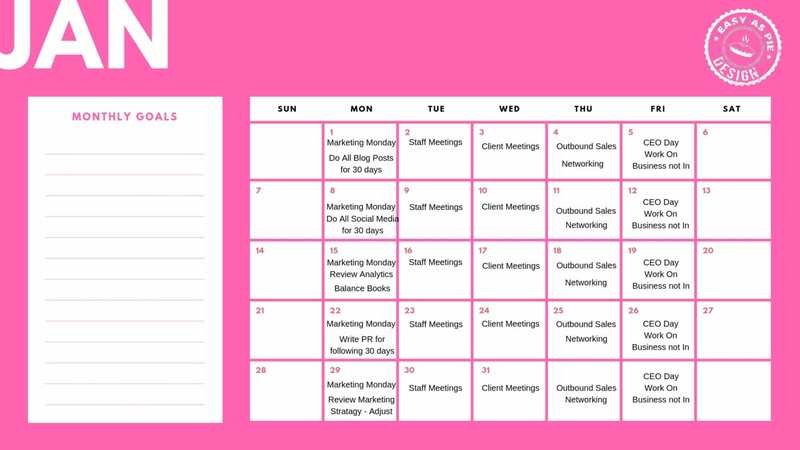 By creating this work flow you are removing these time-consuming tasks from your day to day plate and completing them all in a set amount of time. Once you have incorporated batching you will know how much you can accomplish and how much time you need for your tasks. Danielle is a serial entrepreneur and has been creating and running businesses for over 20 years. She currently operates Easy As Pie Design, a website design firm and Build Your Mastermind, a business consulting agency. 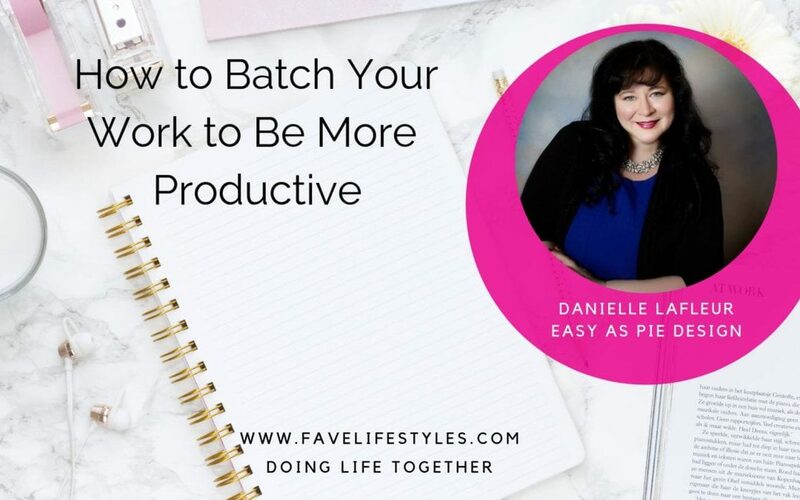 Danielle has been featured in over 30 publications, worked with National Geographic in over 50+ countries, and has created a process for extracting an ROI from an ROE in training and development which is currently being used in over 100+ corporations. Danielle encourages all of those that work with her to deep dive into their values, maximize those natural talents and skills, and create the life they have always dreamed of. She is a full believer that when you align yourself with who you are meant to be, there is an opportunity around every corner. Lagree is a new form of Pilates developed by Sebastian Lagree and sweeping the country. Practiced by Michelle Obama, the Kardashians and Sofia Varga it is a low impact workout that is actually super challenging. The classes are short, but the workout is hard. People who practice are quickly addicted to the quick results and health benefits. So, why should you try Lagree? There is no way to get bored with this workout, it is challenging for every fitness level and every session is HARD. The classes are only 45-50 minutes and from the outside looking in they do not look like much of anything. You are on oversized Pilates reformers performing a series of moves that are SLOW and deliberate. The benefit comes from the slow pace and the fact you are not only working large muscle groups but the tiny muscles that are often left out. When you are in a class and your body is shaking that is a sign you are doing it right. Just be prepared for some soreness your first few visits, but the results also can be seen rather quickly. Since every session is hard, it not only challenges you physically but it challenges you mentally and emotionally. When you are in a hard pose and your brain is telling you to stop but you push through the emotional reward is huge. Although the classes are only 45-50 minutes long you feel like you have conquered something when you finish and the sense of pride and accomplishment is a boost to your body and mind. Lagree studios tend to be small and classes are usually only 8-12 people. You really feel like you are in it together and there is no judgment on fitness level or ability. Your only competition is yourself and your personal best. Before and after class is a great time to get to know your classmates and congratulate each other on taking on this challenging workout. Most people who take these classes say they feel a strong sense of community to their Lagree peers because they understand how challenging Lagree is and how impactful it is on the practitioner’s life. 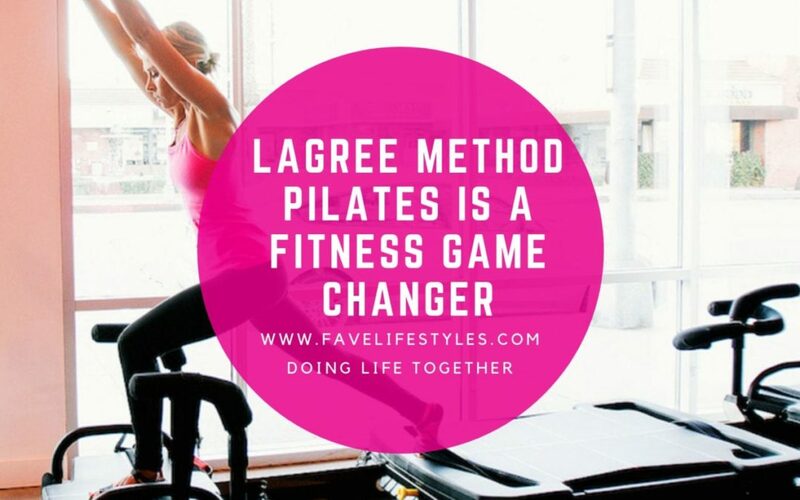 Lagree can look intimidating to those not familiar with Pilates or even small group fitness classes, but it is worth a try. If you are someone who likes to be challenged every time, build community and see results Lagree should be on your list for the new year. During the last year of high school, there will be many high-pressure things happening at once. SAT’s, ACT’s, college applications and essays. Your student will be dealing with a lot of stress and deadlines and it can be tempting to jump in to help them out. This is the time when you can support, but you ultimately need to let them sink or swim. They need to get used to deadlines and completing responsibility without their parent reminding and keeping track of their progress. As your child gets closer and closer to leaving the house it is a good idea to give them more responsibility and more privilege. For example, if your child has always had a 10 pm curfew and that is in place until the day they leave for college it will be very hard for them to self-regulate. To go from strict rules to no rules is a recipe for excess. If it works for your family try to give them more chance to make good decisions instead of just following your rules, that way when they get to college they are not overwhelmed with freedom. Make sure to have frank and frequent conversations about finances. Make sure they are aware of what the expectation is for covering their costs, what you will be contributing and how they should be managing their money. It is also important to talk about taking on debt, whether it is student loans, credit cards or other loans. Make sure your child is aware of interest, repayment and long-term effects of debt. Goals do not only need to be centered around school and grades, talk to your child about what they want to accomplish their first semester at school and set some goals. It could be joining a club, getting a job, exploring their new city or volunteering. Goals are helpful to keep focus when your student is getting into this whole new world of college. Make sure your child knows the basics of living on their own. Laundry, paying bills, using the bank, post office and any other day to day skill that is important should be chatted about before they leave. Even though you might think your child knows all of this stuff, there is no harm in double checking. 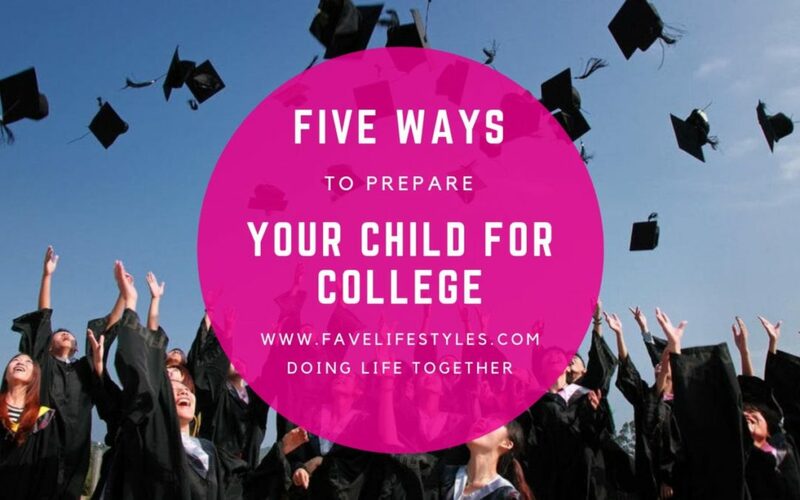 Getting your student ready for college is stressful and emotional, but if you know they are prepared it becomes a lot easier to send them onto their new adventure. 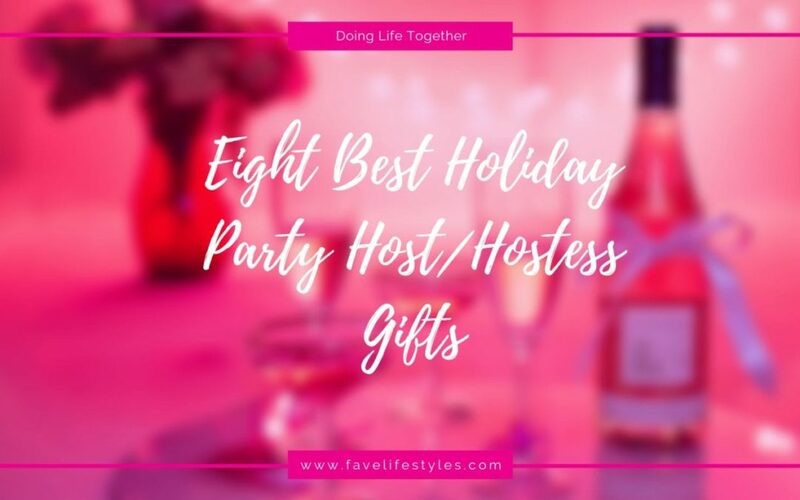 We are in the middle of holiday party season and it is always nice to bring a gift for the host or hostess of a holiday party. Sometimes it can be difficult to find a fun gift, so here is our ten favorite hostess gifts for anyone welcoming you into their home. This is a standard (but popular) item. Everyone can use a bottle of something delicious for their home. To make it extra special choose something local or bring a bottle that is not sold at your local grocery store. A super fun idea in the alcohol family is to bring the ingredients and directions for a mixed drink. Often people don’t go out of their way to put together a fancy mixed drink because it can be complicated. So, if your host enjoys mixed drinks find a fun recipe and bring all the ingredients needed and the recipe. Candles can sound a bit boring, but there are so many boutique candle companies that make artisanal scents, funny labels and cool candle holders. You can find something that matches the décor and taste of your hostess. Another traditional but welcome gift is a potted plant or fresh flowers. They are always welcome and easy to find locally. If you bring fresh flowers have them wrapped nicely at the store, instead of bringing them in the crinkly plastic. It adds a nice touch. Another cool gift that is perfect for those who have a bar or enjoy mixed drinks is barware. There is always a cool new gadget or bar toy that an aficionado would love to receive. The start of a new year always inspires change and rejuvenation in people. For some, it is personal development or fitness like a new workout, for other home organization or renovation. 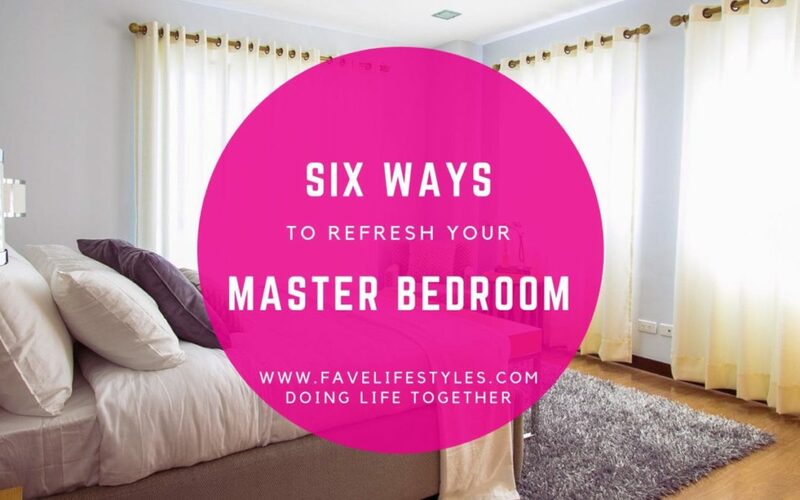 If you are looking for some change in your home, but don’t want to do anything major, here are six simple ways to refresh the look of your master bedroom. Adding an area rug to the room adds visual interest and can bring new colors to the space. It is a much easier switch than replacing your flooring and you can do it as often as you would like! If you are crafty you could paint your existing bed frame a fun new color or refinish it in a new stain. If you are not up for an art project you could simply buy a new frame. Sine the bed is the focal point of the bedroom a new look changes up the entire room. The quickest way to make a change in any room is paint. It is simple and has a big impact. There are so many ways to use paint that the opportunities are endless! Stenciling, creating a vibrant accent wall or even adding shimmer to the paint can be like creating an entirely new look for your room. Changing out the ceiling fixture for a more daring and dramatic fixture or chandelier immediately elevate the design quality of your bedroom. You can create visual interest that brings the eye up. Since there are so many types of fixtures you can go romantic, modern, retro, the options go on and on. Wallpaper has come a long way since the days of heavy floral patterns. You can get modern and elegant designs, shimmery colors and unexpected patterns. Wallpaper has the same impact as paint, you can cover large areas and it has a big impact. A wallpaper accent wall is a pretty addition you can make to see if you like it before you cover the entire room. A very easy change to any room is updating the window coverings. You can make a big impact with new curtains, blinds, and hardware. You can be really creative with color, texture, and patterns and it gives a whole new look to your windows and bedroom. No matter how big or small you want to go with your bedroom refresh, there are lots of things that you can do that can be DIY or hire them out. Either way, a master bedroom should be a relaxing retreat from the world, so make sure it is something you love!